“It was a very busy holiday weekend for ENCON officers across the state! Not only were the parks packed with people trying to escape the heat but Long Island Sound was full of boaters and fishermen taking advantage of the long weekend. 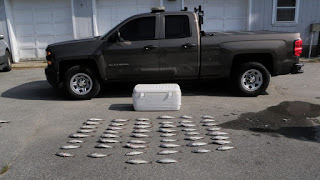 ”On Sunday one of our officers in the Eastern Marine district responded to a complaint of three individuals off loading three large coolers from a boat that were believed to be full of undersize porgy (aka scup) and other fish. 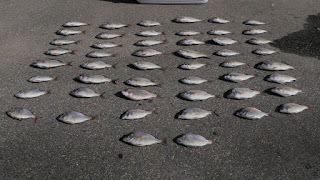 Upon locating the individuals and completing an investigation the officer determined that two of the three were in violation of state fishing regulations. 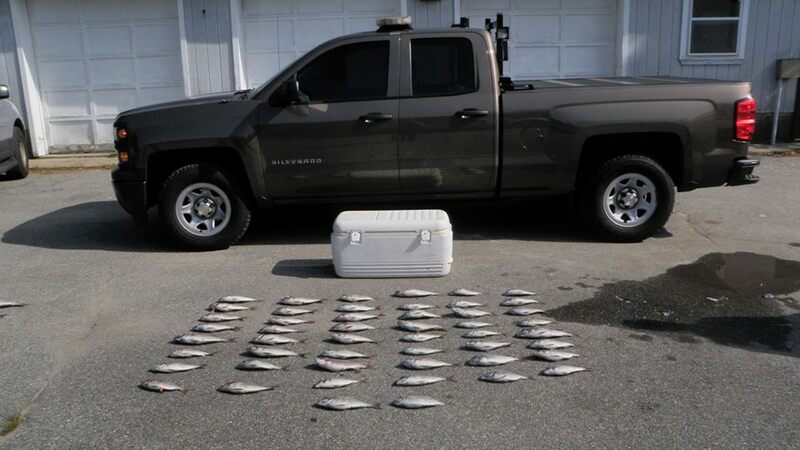 One individual was in possession of 50 porgy, which exceeds the daily creel limit of 30, and had both a suspended fishing license and a suspended drivers license. 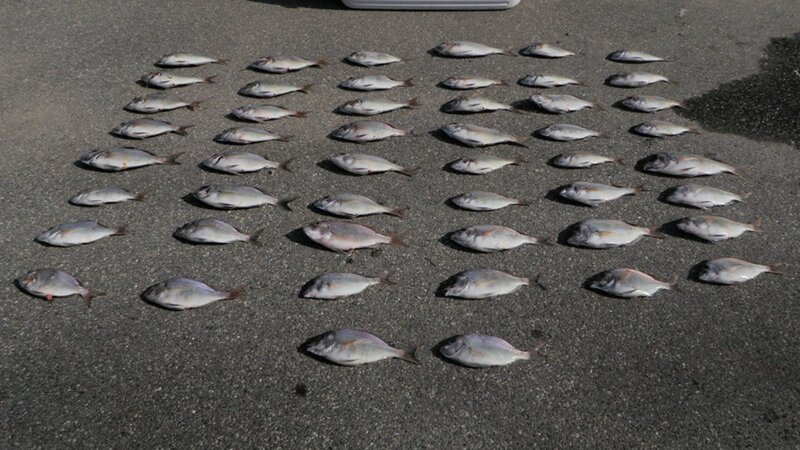 The second individual was in possession of 48 porgy, also in excess of the daily creel limit. Both individuals were issued infractions for the violations. 98 porgy and two coolers were seized and one vehicle was towed from the scene. “To make your bait more noticeable, use scissors to cut off one or both of the bait’s tail fins. This will ­hinder its ability to swim with the group, causing it to sink below the school. p.s. : Trimming the bottom of the tail fin works best. 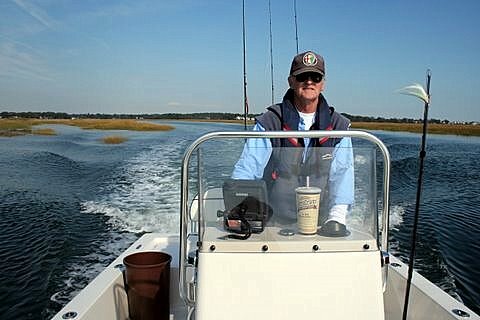 “Striped bass are here in our bays, coves and along the coastal shore. There are great reports of large keeper fish being caught.